I'm an Associate Writer for MusicDish.com who have featured several of my articles on their vast network of music related websites, in addition to being the former Editor in Chief of the Direct Buzz magazine. I am also a contributing writer to the Indie Bible which is a wonderful resource book internationally distributed. For 7 years I was a columnist for The Nashville Music Guide writing this magazines Musicians Spotlight column. I also write a column called "Nothin' But The Truth" for MusesMuse.com which is an outstanding songwriting resource web site. I hope you enjoy my book if you do decide to read it. I am very proud of it and would love to hear your thoughts after reading it if you would like to share them with me, good or bad. Let me know if you want one and I will get one right out to you. 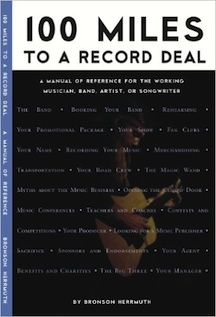 My book could be the perfect gift for that musician or singer in your family, or any of your friends who play music or write songs. To see more info about my book, click here.